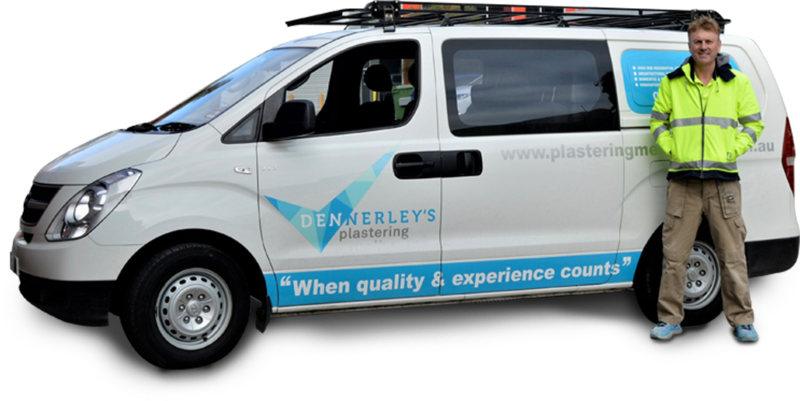 With our emphasis on utilising the latest plastering methods and a keen eye for design, Dennerley's Plastering & Suspended Ceilings Melbourne has taken plastering from simply a trade to unparalleled craftsmanship. We provide a complete design and plastering solution whilst offering practical advice and expertise that can only come with thirty years of industry experience. It is through this extensive experience that we have developed strengths in all aspects of plastering and the advanced technology that is the key to a flawless finish. Whilst we are experts at meeting your commercial or residential requirements, Dennerley's Plastering & Suspended Ceilings Melbourne is the industry leader for the completion of unique projects that call upon artistic talent as well as practical skill. No matter the design brief, every project is completed in an efficient manner with minimum disruption to our client. Our success is a reflection of our ability to carefully listen to our client's ideas, consider their needs, fulfil their vision and exceed their expectations by creating beautiful and quality environments that will leave our customers proud. With the majority of our work arising through client recommendations and referrals, it is clear that Dennerley's Plastering & Suspended Ceilings Melbourne offers experience and professionalism that is second to none. Why not talk to us about our extensive experience in all aspects of plastering and how we can help turn your dream project into a reality.